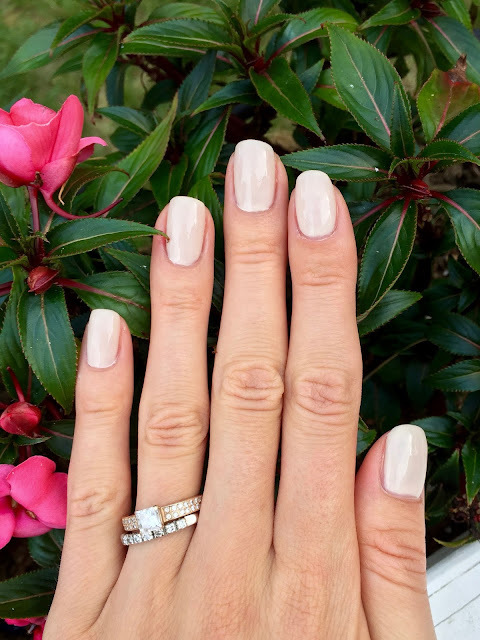 I feel like in every other nail post I'm telling you that it's a very simple design. Most of them are really easy, but today I will show you the easiest one. Nevertheless I think it's still very pretty. To achieve it you need any base color of you liking and then sparkles. It can be either glitter that you can apply over clear nail polish or easier way - glitter nail polish. Down bellow I will show you both ways. 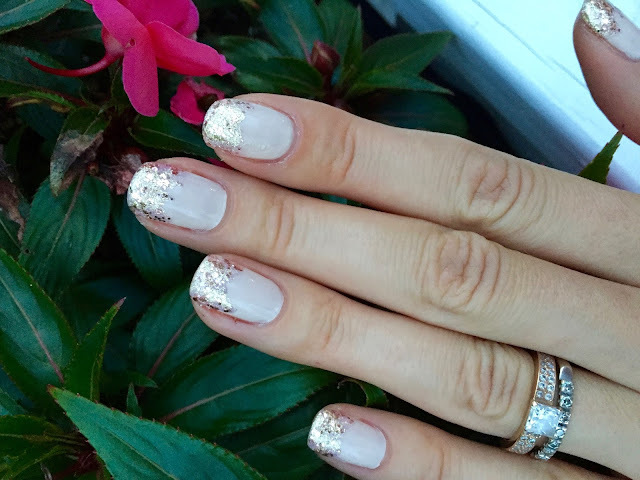 To achieve this design start with base coat and then two coats of Milani 03 Lady-like sheer nail polish. 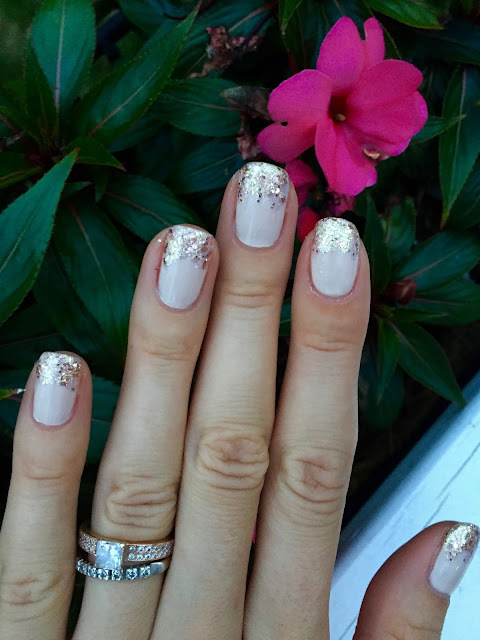 When nail polish dry to the touch apply Milani 50 Gilded Rocks from half of the nail. Don't be careful with a straight line, I think it looks prettier when glitters are painted in mountain way (up and down or zigzag). It looks like falling stars. 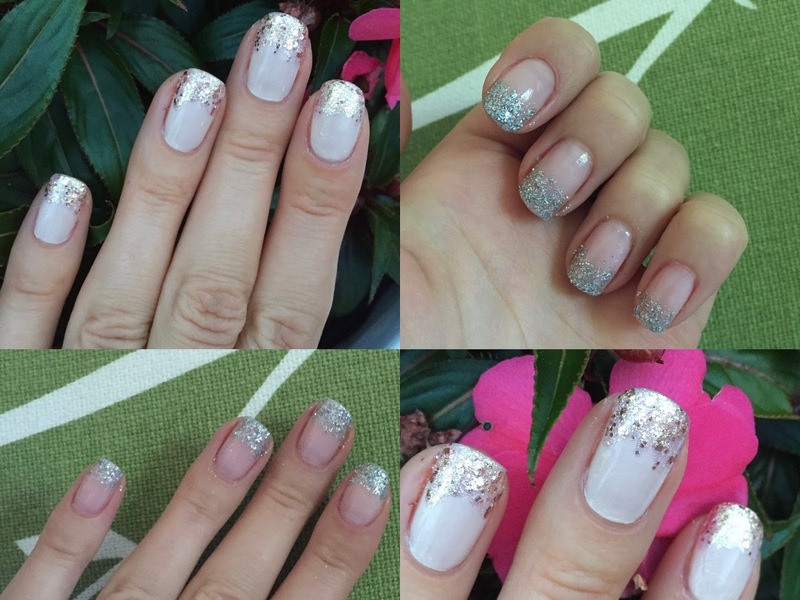 Other way to do this is to use real glitter. 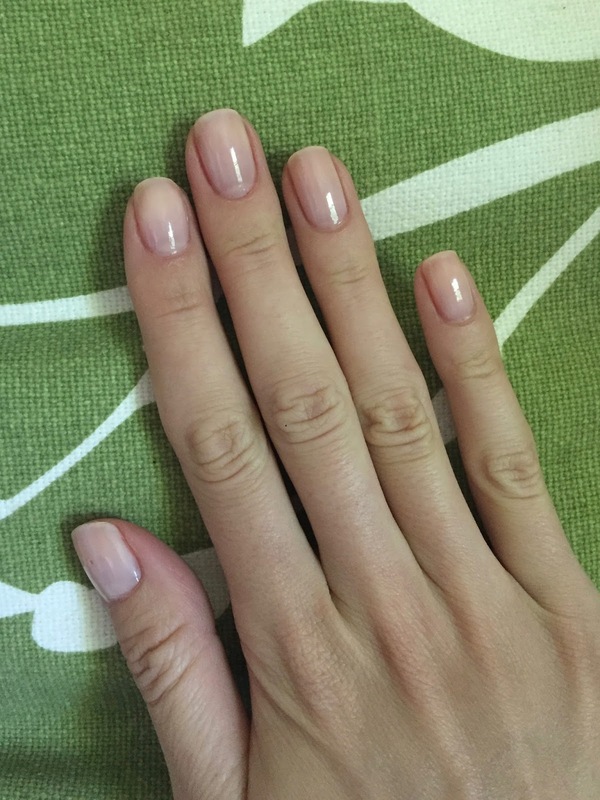 Start with base coat then two coats of Essie Hi Maintenance. Apply clear nail polish on half of the nail. 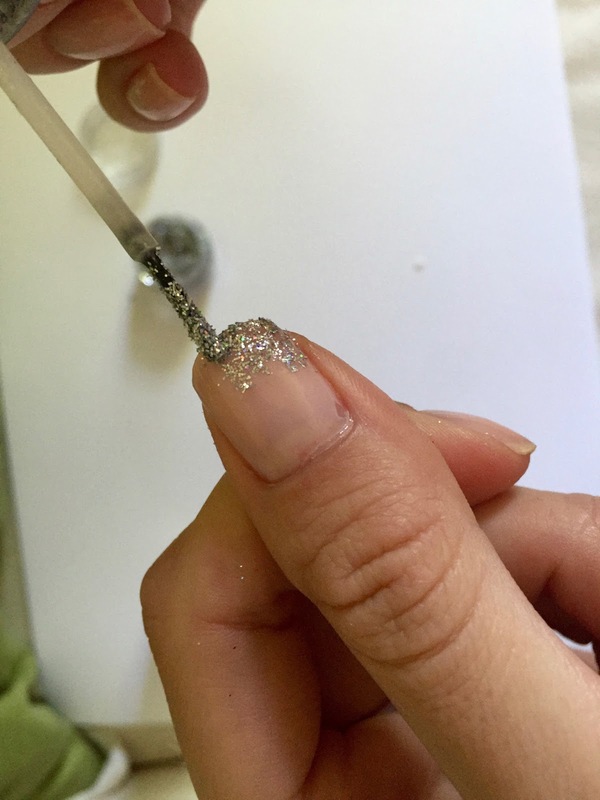 Get loose glitter on brush that you are previously deep in clear nail polish. 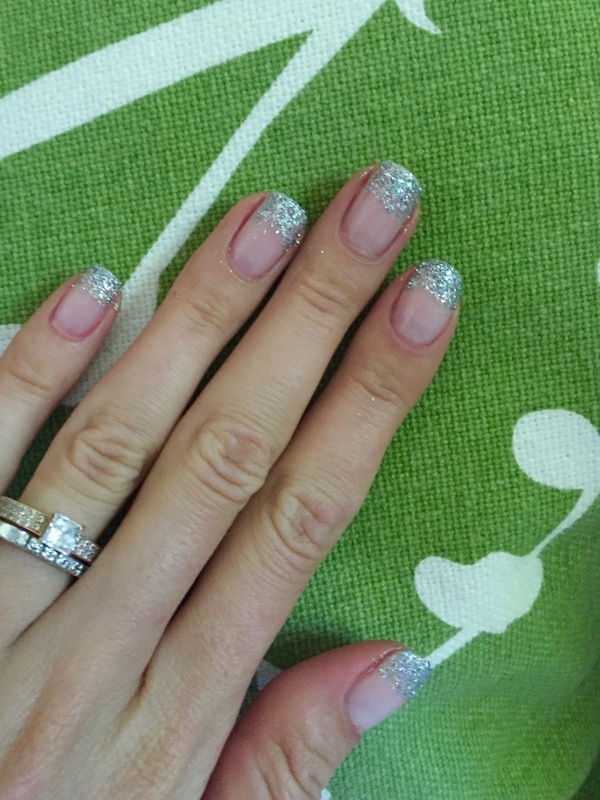 Dap glitter on the area that you put clear nail polish. The second way is little bit messier, because glitter do that. If you try both ways let me know which one is your favorite.